Is social service considered spiritual practice? 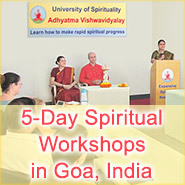 When new seekers come for the spiritual workshops conducted by the Spiritual Science Research Foundation and the Maharshi University of Spirituality, some of them express their desire to take part in some form of social service as a means to enhance their spiritual practice, help people, or as their life goal. Many people feel that they are serving God when they engage in social services for humanity like helping the poor, providing medical assistance, educating underprivileged children, donating to charitable organisations, helping people in times of calamity, looking after the aged, etc. They feel that through such activities and personal sacrifice for others, their spiritual growth is assured. There are various NGOs employing thousands of volunteers with similar desires; all of them having the noble aim of making the world a better place to live in. Sometimes a person has seekership qualities, but does not know that he or she is a seeker. They often use their innate seekership qualities of sacrifice and thinking of others for social service because they do not know any other way to grow spiritually other than helping people. It is a common perception the world over that helping the poor and downtrodden is a higher calling, and is a vocation that commands its own respect in society. It is therefore understandable that some seekers are taken aback when we inform them that social service does not equate to spiritual practice. It can be especially confusing for seekers because many so called spiritual leaders in the world actively propagate humanitarian acts. So why is it that sincere efforts in social service to help people do not equate to spiritual practice and hence may not result in the desired spiritual growth for a seeker? While this may not be an easy concept to understand in today’s world, in this article, we explain the rationale behind this concept so that seekers who are genuinely striving for spiritual growth invest their time and efforts in what really matters. Before we proceed any further, we have summarised a few fundamental spiritual concepts that our readers should be aware of, so that we are all on the same page when we present a spiritual perspective on this issue. Let’s start with – what are we comprised of? Every human being is comprised of the physical body, the vital energy (which is a spiritual type of energy or our life energy), the mind (which is the seat of our feelings and emotions based on impressions from previous lifetimes), the intellect (which is our decision making and analytical capacity), the subtle ego, and the Soul (which is the God principle within each of us). When we die, we leave our physical body on the earth plane and our subtle body moves on into the afterlife. The subtle body comprises of the mind, the intellect, subtle ego, and the Soul. All human beings seek happiness and they do so through their five senses, mind and intellect. However, as we all know all happiness is transient as the very things we base our happiness upon are subject to change. The Soul on the other hand is a component of God and is our eternal and true nature. The nature of the Soul is described as Absolute Truth, Absolute Consciousness and Bliss. Bliss is a superlative form of happiness which is of the highest level and is a quality of the unchanging God principle. Somewhere within all of us, the Bliss of the Soul is waiting to be discovered, however we are not able to access it because we are focused on experiencing happiness or some level of gratification through the five senses, mind, and intellect from our activities and the world around us. Spiritual practice is that activity which help us to understand and experience that our true nature is Divine. It helps us understand and experience that we are in fact not the five senses, mind, and intellect but intrinsically the Soul within us. The five senses, mind and intellect and the physical world around us along with the subtle world (spiritual dimension) is known as Maya or the Great Illusion. It keeps us away from realising our true state which is the Soul or God principle. Also, this is not the first time we have been born and for the vast majority of us it is not the last time we will die. According to the law of Karma or destiny we go through a cycle of birth and death many times to complete the give-and-take account we have with others. When we hurt others and give them pain, we create a negative give-and-take account with them, and according to the law of Karma, we have to receive the same amount of pain from them. For some of us this is popularly known as paying for one’s sins. Alternatively, if one does good for others and they experience happiness, one gains merits and one has to be reborn again to enjoy the fruits of those merits. Such impressions of give-and-take are stored in the sub-conscious part of the mind we discussed earlier. In the current era, approximately 65% of our lives is destined and based on karma from previous lives. The other 35% of our lives can be lived as per our free will. For the purposes of this article, we need to understand that if we use our free will to help people, it generally results in the accrual of merits or positive give-and-take accounts as it provides others with some happiness. It is important to note that both merits and demerits keep us in the cycle of birth and death as we keep getting born again and again to settle a small proportion of our accumulated give-and-take accounts. Neither activities that generate merits nor activities that generate demerits help us to understand and experience that the 5 senses, mind and intellect are part of Maya and not our eternal Divine form which is the Soul and hence both activities do not constitute spiritual practice. The spiritual purpose of our lives is twofold, one, to settle our given and take account (positive or negative) and second to grow spiritually through spiritual practice. To know more about these fundamental spiritual and life concepts, we suggest you read the following articles, as they provide a detailed explanation about each topic. What is the purpose of life from a spiritual perspective? The following are some points that we can keep in mind when deciding whether we (as seekers of spiritual growth) should engage ourselves in social service. The root cause of suffering: The root cause of why people suffer is because they have negative give-and-take accounts or negative karma from their past lives due to committing sins. As a result, they have to endure unhappiness in this lifetime. It is not easy to watch another person suffer and it is only natural that we may want to alleviate their suffering. However, at a spiritual level, the question we need to ask ourselves when people suffer is, doesn’t God also notice, then why does He not intervene? After all He is omnipotent and He can alleviate a person’s suffering in a moment’s notice. Yet He does not intervene because those who are steeped/rooted in Maya are bound by the laws of the Maya. Such people (who make up the vast majority of the world’s population) have to undergo the pain of their actions or inactions that hurt others. In God’s kingdom everything is fair. If one has given pain to others, one has to suffer with bad karma. God does not circumvent these laws and alleviate their suffering. For the average person in Kaliyug (also known as the Era of Strife), materialistic, emotional, and intellectual needs are the main driver behind their actions. As they are fully in Maya (i.e., the Great Illusion) the law of Karma is rigid. For them as one sows, so shall one reap – if not in the current lifetime, then in the next. God does not intervene. So who does God help: God intervenes to help only those people who are truly desirous of God-realisation. Such people due to their spiritual practice start to detach and come out from Maya (or the dream that most people consider as reality). They seek only the Divine which is beyond Maya. God actively intervenes when necessary for such seekers and removes obstacles in their spiritual practice that may block their spiritual progress. Therefore, God never helps at a psychological level but only at a spiritual level. What happens when we donate: When one donates to charitable organisations, NGOs or needy people, it is at a psychological level and it only further entangles us in Maya (The Great Illusion). This is because from such good deeds in Maya one gains merits. For settling merits too, one has to take rebirth and undergo good destiny. Only spiritual practice burns all of one’s Karma and helps one to get out of the cycle of rebirth. It nullifies one’s merits and demerits from one’s accumulated destiny. Thus, from a purely spiritual perspective instead of wasting time in helping people through social service, one should try to increase one’s own spiritual practice and help others also progress spiritually. Helping others progress spiritually is actually considered true help from a spiritual perspective. True service to God and humanitarian efforts are spreading Spirituality and helping others to progress spiritually. In line with God’s wish, real Saints and Gurus don’t interfere in anyone’s destiny. This means that they do not waste their time in helping people by curing worldly problems – such as terminal illness, financial problems, fights between family members, etc. They only help people who are truly desirous of God-realisation. Once a Guru knows that a person is truly desirous of God-realisation, then they do everything to help them progress spiritually. A Guru can also bestow His grace upon a seeker and reduce his or her destiny. This is if the desire for God-realisation is very strong and the seeker is making very sincere efforts to progress spiritually. Limited scope of social service: When one performs the service of giving alms to the poor and needy, how many people can one help, and for how long? Each of our capacities is limited. For example, let’s say one gives $100 to some people who are poor, it provides them with some temporary relief and puts food on their table. But this does not fix their situation forever. After a few days they would be back to having no money to buy food. In this way how many people can one actually help? One’s capacity and resources are limited and the people with problems in this world are endless. There is a saying, ‘give a man a fish and you feed him for a day; teach a man to fish and you feed him for a lifetime’. In almost all cases it is a person’s destiny that brings him or her into poverty. If a person’s destiny is that he should be poor or have certain problems, then only spiritual practice can help burn the negative karma and alleviate his problems. So teaching a person how to do spiritual practice is like teaching him how to fish as opposed to just giving him some fish. It is a far more sustainable form of help and enables him get out of the cycle of birth and death. As a basic step, one can teach others how to chant the Name of God as a form of spiritual practice. Increasing the effectiveness of helping people: Having established that helping others start and sustain their spiritual practice is the highest form of help, let us now look at how we can make this more effective. If we ourselves do not undertake spiritual practice, our words will have less meaning when we tell others to start spiritual practice. When one starts spiritual practice, then as one grows spiritually, the Divine consciousness in one’s voice and efforts also grows and God is better able to use us as instruments to conduct His mission of helping humanity grow spiritually. If an average person wants world peace, or to change the world to be a better place, in truth it is just wishful thinking. However, if an evolved person wishes for something, even a mere thought like ‘may it occur’ in the mind of a Guru is sufficient for the occurrence of an event. Nothing else is required. However, this is possible only in the case of a Saint whose spiritual level exceeds 80%. This is because Saints are nothing but the manifest form of God Himself. The Guru Principle is that principle in the Universe who is responsible for guiding seekers to God-realisation. At the highest spiritual levels even a wish is not needed, just mere presence is enough. A good analogy to illustrate this is the presence of the Sun. It wakes up everyone in the morning and makes the flowers bloom when it rises. This happens simply with its existence. The sun does not ask anyone to wake up or the flowers to bloom. The mission of a Guru of a spiritual level of more than 90% is of this nature. The most effective use of our time: Our time on Earth is limited. Once we realise the importance of spiritual practice and that it is one of the main reasons we are born, then all our efforts ideally should be aligned to practice it. We should also use our discretion to undertake spiritual practice that is most effective. Let’s look at an example to clarify this point further. Suppose one has the opportunity to invest in 3 secure banks each offering different interest rates of 5%, 10% and 11.5% respectively. Which bank would one invest in? One would immediately respond by choosing the bank offering 11.5%. In line with the example of the bank, as seekers, we should be just as prudent when deciding what spiritual practice to invest ourselves in. Doing the same level of spiritual practice all our lives will lead to stagnation. The onus is on us to make the right decisions with regard to the effectiveness of spiritual practice. Not knowing is not an excuse. 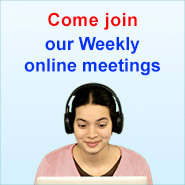 We have to be in continuous learning mode as to how we can improve our spiritual practice. In the case of social service, the upside is that social service helps us to reduce thinking only about ourselves. It helps us to develop an attitude of service and teaches us how to sacrifice. All of these are important qualities to have if we want to make spiritual progress. So social service can be considered as one of the stepping stones to real spiritual practice. and our pride and ego invariably increase due to thoughts about what we are accomplishing. All these factors are detrimental for our spiritual progress. By doing social service, it is rare that one progresses spiritually even if done under the guidance of a so called spiritual leader. For an average person who is very selfish and only focused on self, it is okay that as a first step he or she can at least help people. This helps them to elevate themselves out of the ‘me and my family’ centric view of the world and at least think about others. Another downside for those who undertake social service is that they usually do so as per their own liking / for a feel good factor and not under the guidance of a spiritual authority. Hence they solidify the impression in their mind that social service is good and continue to have a liking for it birth after birth. Thus a seeker can waste many births without making any spiritual progress. For seekers who are truly desirous of God-realisation, they should not waste their time and instead focus all their energy and resources to do spiritual practice and go towards God-realisation. a. Karmayoga means doing an action without expectation of the results and without doership. This is something that is extremely difficult to achieve. One invariably has some expectation of the outcome and some doership when doing a task. Having doership means attributing the task to one’s five sense, mind and intellect. b. If one is helping another person, then that person should be deserving of the help. From a spiritual perspective those who will use the help to grow spiritually and whose aim is spiritual growth are considered deserving. If one is helping a seeker so that he or she will grow spiritually, then no give-and-take is incurred. God helps seekers so when we help seekers we are acquiring God’s quality and we in fact progress spiritually. Some people feel that there is God in everyone and by helping people who are needy they are serving the God principle in another person. This is a misconception. A person may need help, but the Soul or the God principle in that person by itself needs no help. From a spiritual perspective true service to God and to humanity is spreading Spirituality and helping others to practice it – this is the highest and purest form of social service as it helps a person to get out of the cycle of birth and death and experience Bliss. The lure of social service for those who want to make a difference in this world is understandable. A social worker is able to see tangible positive outcomes from their contribution to society. However gratifying it may be to help people as an experience, any positive work in Maya gives us fruit in terms of Maya alone, which is the accrual of merits in one’s karma or happiness. For those seeking the Divine, where the aim is God-realisation and the experience of Bliss, the spiritual journey needs to be different and one’s spiritual practice needs to become more and more subtle. At SSRF we recommend the 8 steps of spiritual practice to ensure faster spiritual progress. These steps can help you begin or strengthen your current practice. Many seekers doing spiritual practice under the guidance of SSRF used to perform some form of social service. However, when they started spiritual practice as guided they started experiencing higher spiritual experiences and realised the limitations of social service.